When you look at your parcel and feel the work mounting, call Langenberg Specialty Services. For more than 10 years, our experts have been clearing land for both residential and commercial properties to help pave the way for other projects. Do you want to work with a company that can provide you with a reliable tree care & maintenance? Maybe you are looking for a team of professionals that can take care of the mowing of your lawn? If you do, Saban Tree Service is the right choice for you. Based in New Braunfels, TX, we are one of the most reliable tree service companies in the area, providing quality that is unrivaled by anyone. Choose us, and you will be able to rely on capable tree contractor who can handle anything, from tree maintenance services to removal. With us, you are sure to receive the quality you are searching for, regardless of the nature of the job. 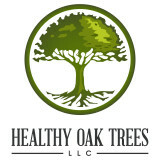 Healthy Oak Trees, LLC. provides Central Texas with tree removal, stump grinding, tree trimming, mulch and storm recovery. We pride ourselves on customer satisfaction. We are fully Licensed and Insured for Residential and Commercial tree services. The staff at Healthy Oak Trees, LLC. is recognized again and again for our integrity, courtesy and professional manner. We work to make this an easy process for you with free estimates and convenient scheduling. Whether you need a tree removed because it is too close to your house or business, diseased, downed from a storm or other reason, our experts can evaluate and recommend the best course of action for your trees. We are convinced you will be 100% satisfied! Ideal Tree Care is San Antonio’s fully insured premiere tree service company. We have been providing tree services to San Antonio and the surrounding cities, for nearly 10 years. Our #1 goal is complete customer satisfaction. Communication is the key to any service provider’s success, and accountability as a result only further enhances a long-term relationship from both parties. We have helped a broad spectrum of clients both residential and commercial such as Property Managers, HOA Board Members, Landscapers, Churches, and Apartment Complexes. 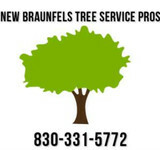 New Braunfels Tree Service Pros offer tree trimming, tree pruning and other tree services for residential homes and commercial businesses in New Braunfels. Tree Removal Sequin specializes in tree and stump removal services for the Sequin, TX and San Antonio metro area. We are committed to being the most called upon tree service experts and tree removal companies in Quadalupe County and throughout San Antonio. Founded in 2005, Tree Removal Sequin continues to focus on customer satisfaction whether the tree service is a small or large project. We are available at all hours of the day in case emergencies come about and pride ourselves on providing world-class tree trimming and removal services to our clients. We are a full design landscape contractor servicing Canyon Lake, Texas and surrounding area. Our primary services include Landscaping, Tree services, and Lawn Maintenance. We have over 16 years of experience as a landscape contractor. We also specialize in tree service with an understanding toward promoting healthier tree populations. We also specialize in lawn care maintenance. All Seasons Tree Care We are your region's premier choice for professional tree care services. Our contractors bring more than 15 years of experience in the industry to each project we undertake. 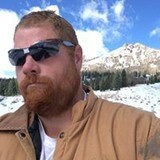 All Seasons Tree Care in San Marcos, TX is fully licensed and insured for total protection of your property. Texas Tree Service has been proudly servicing the Hill County for over 36 years. Our staff is professional, safe, neat and dependable. We have some of the largest equipment in the Hill Country and a trained staff to use it safely and effectively. We are a tree service in San Antonio, Tx providing customers with tree trimming, tree removal, stump grinding/removal, tree planting and diagnosis of tree problems by one of our certified arborists on staff. Our goal, from the beginning was to provide residents and commercial businesses in San Antonio a tree service that they can trust. Fort Worth Tree Service, offering tree removal, tree trimming, tree sales, stump grinding, cabling, and certified arborist services. Fort Worth Tree Techs have been caring to trees in Ft. Worth and surrounding areas for years. We have qualified tree trimming professionals who are trained and also receive ongoing training from one of our senior tree care professionals. If you are in need of quality tree care, we would love for you to give us the opportunity to be your tree service.